Follow the links to our archive of Thorsten's print interviews and articles about the characters he's portrayed. 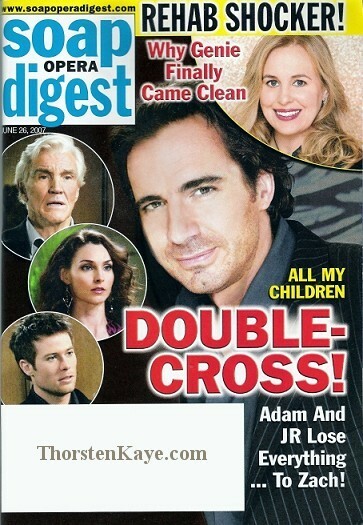 Above: On the cover of the June 26, 2007 issue of Soap Opera Digest. Note: All files are the property of ThorstenKaye. com, and provided for your personal use only. Please do not upload to/disseminate them from any other web site, wholly or as part of any other project.